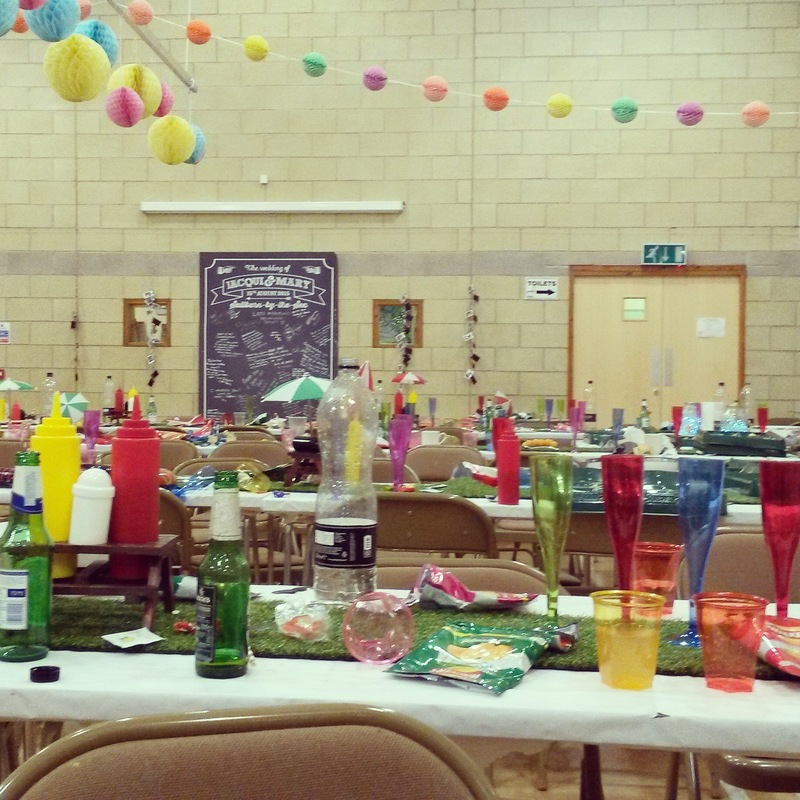 DIY Yorkshire Wedding. Hinderwell Village Hall, Whitby. The band recently headed out to the North Yorkshire coast to play for Jacqui and Mary’s wedding at Hinderwell Village Hall near Whitby. 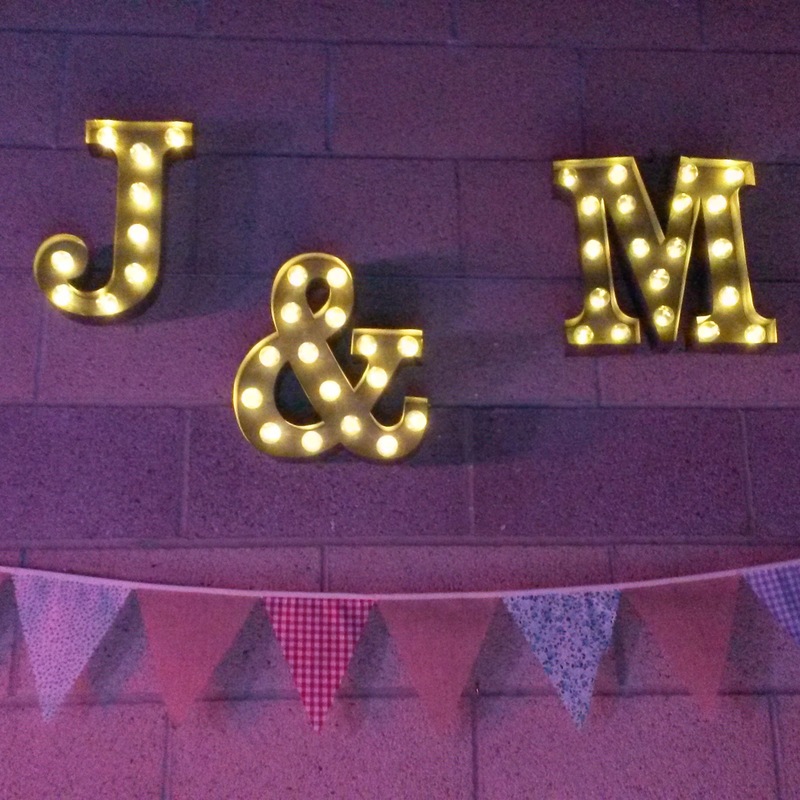 After a scenic drive over the moors in the sunshine we arrived at the venue which was decorated with a funky DIY feel. The guests were seated at long tables which obviously contributed to conversation given how animated everyone was, and overall there was a really relaxed and informal atmosphere to things. We were setting up in the same room as the guests were sitting; thankfully we have a lot of experience at setting up quickly and without fuss, and we managed to keep things fairly discreet until it was time for sound check. Again, over the years we have learnt how to keep this brief and keep any noise to a minimum. Our first set was right at the start of the evening – this was unusual for us but unlike some acts we’re always happy to work with our clients to fit in around their timing, rather than insisting they fit with ours. We needn’t have worried as we were greeted by an enthusiastic crowd who were clearly keen to celebrate with Jacqui and Mary. 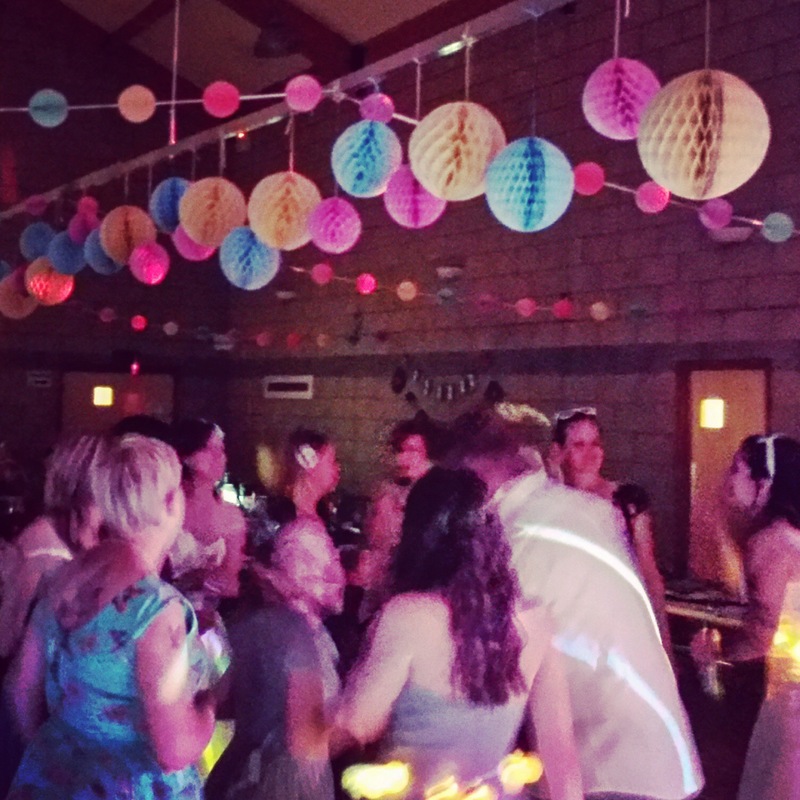 It was a mixed crowd, so we took something from every decade to keep them on the dance floor – from Dusty Springfield to Girls Aloud and most points in between! The ‘iPod DJ’ filled the long break between our sets. This is part of our standard wedding package – we can customise the playlists so they reflect the tastes of our couples and their guests, and it’s always a great way to keep the party going. We came back for the second set ready to party and swung straight in to ‘Kiss’ by Prince and ‘Locked Out Of Heaven, by Bruno Mars which kept the tempo up for rest of the night. It was great to see some amazing shapes being thrown on the dance floor – and some giant inflatable champagne bottles too! Our first trip to Hinderwell was a great success, the village hall is a wonderful venue and a real blank canvas for couples who want to put their own stamp on things. We hope to go back soon. Previous I’ll be there for you – wedding at Sandburn Hall, York.